Hello from a very hot campsite in Norfolk. I didn't know if I would get a signal but I am lucky so I'm blogging by phone, so this won't be a long post. Sheena is in create and craft on Monday with a new 4 day deal. 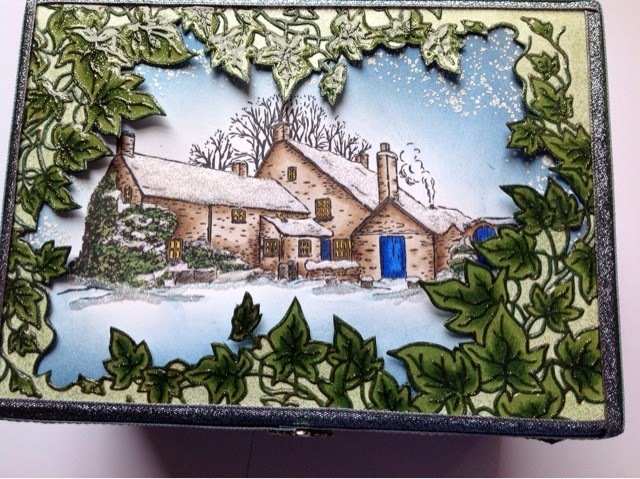 You will love these Christmas embossing folders and new stamps she is bringing. 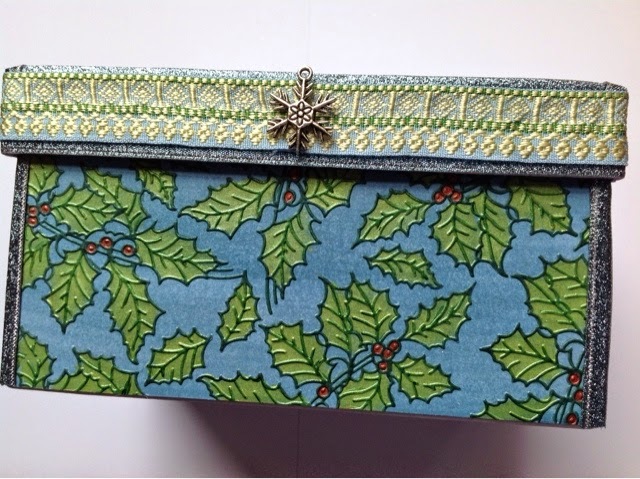 This is my first sneak peak of a box I made using 2 of the embossing folders, one of Sheenas older stamps, silk paints and alcohol pens. Sorry if this is all over the place but hope you get the idea.